What images do you think of when thinking about the Holocaust? Anne Frank? Images of hollow-eyed men in striped uniforms? Trains full of people slowly leaving stations? Or maybe you even think of a girl with a white headscarf standing between the doors of a cattle car, staring at the camera. This last image was filmed in transit camp Westerbork in the Netherlands and it is part of what we now know as the Westerbork film. It was commissioned in 1944 by German camp commander Albert Gemmeker and shot by Jewish Westerbork prisoner Rudolf Breslauer. The film shows, among others, images of life in the Westerbork camp and the transportation of Jews, Roma and Sinti from this camp to Auschwitz and Theresienstadt. The film was never finalised, because Breslauer was deported to Theresienstadt and later to Auschwitz before it was completed. The Westerbork film images are unique and vitally important as a primary historic source as they are the only moving images of a concentration camp in operation filmed during the Second World War. In 2017 the value of this film was recognised globally by UNESCO when the film and its script were included into the UNESCO Memory of the World programme as global documentary heritage, taking its rightful place next to, for example, the already world famous diary of Anne Frank. The images of the film have been re-used in many different ways over the past decades, from shots such as the girl with the white scarf and the arriving and departing transports, to the starkly contrasting images of a cabaret show and soccer match. There is only a very limited amount of footage of the Holocaust, especially moving images. This scarce material is therefore of grave importance for how our memory of the Holocaust is shaped , as it is these images - and only these images - which have constantly been remediated. 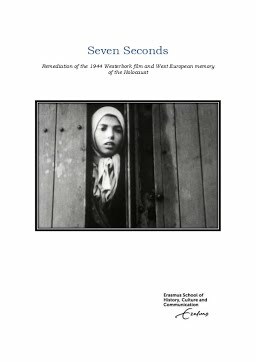 This thesis examines the following research question: How and to what extent have the images of the Westerbork film contributed to the collective memory of the Holocaust in Western Europe? It uses a case-study approach analysing four documentaries from different eras and countries which use images from the Westerbork film. The documentaries are Nuit et Brouillard (1955, French), Gezicht van het Verleden (1994, Dutch), Anne Frank Remembered (1995, British) and Respite (2007, German).